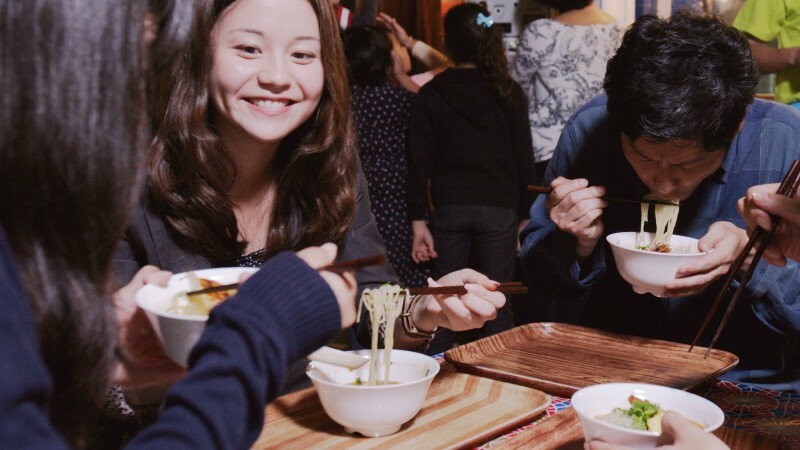 The menu for this food attraction features eight varieties of noodles that Momofuku Ando encountered during his travels in search of the origins of noodles. 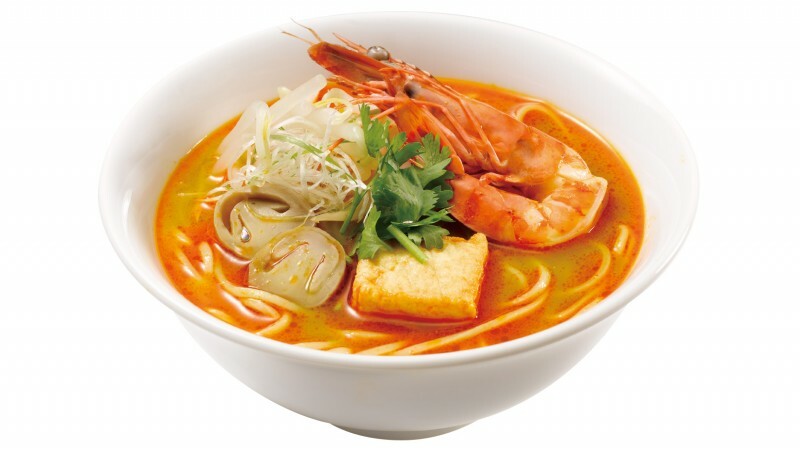 Enjoy the noodle culture that has spread to every corner of the world in an ambience that is like an Asian night market. 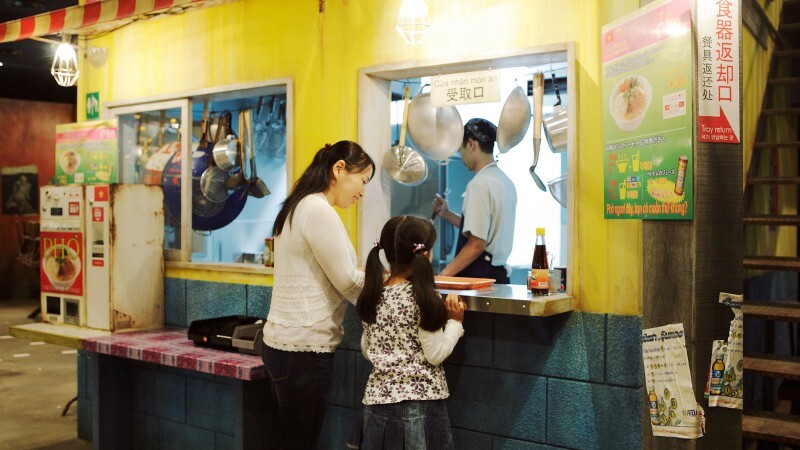 NOODLES BAZAAR has eight stands. All items available at the stands have authentic flavors supervised by Mr. Naomichi Ishige, a scholar of the National Museum of Ethnology. All items are served in a half-sized bowl. 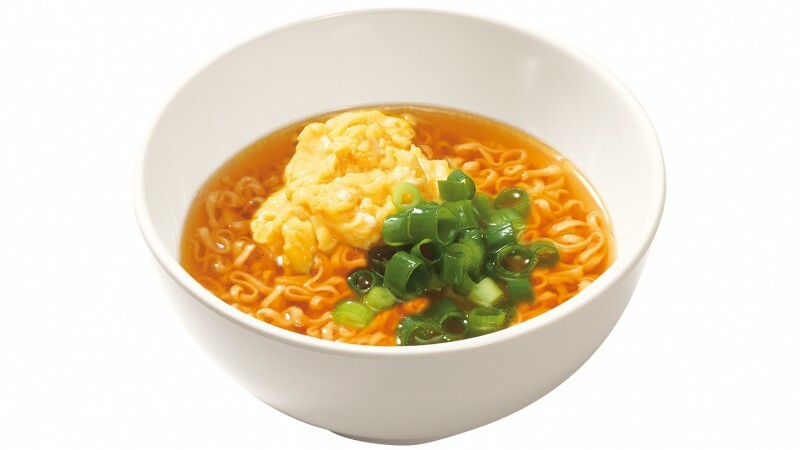 This is intended for visitors to be able to taste many different noodles from different countries, priced at 300 yen per serving. Rare beverages from different countries are also available. 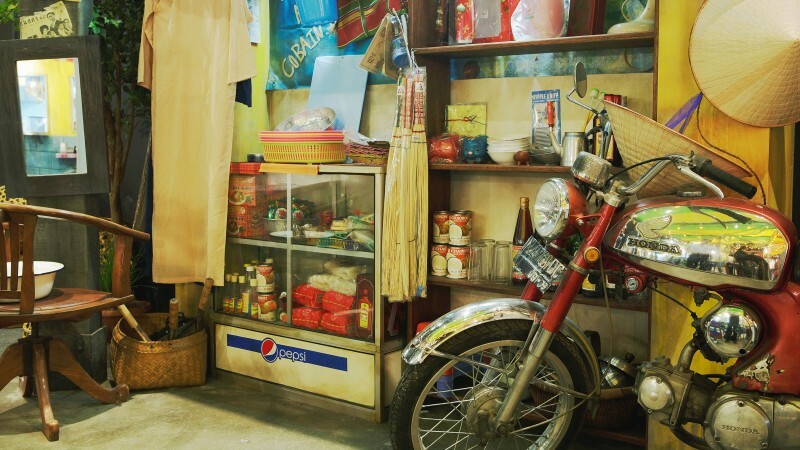 NOODLES BAZAAR is full of furniture, tools and accessories from Asian countries. Simply spending time there is an enjoyable experience. 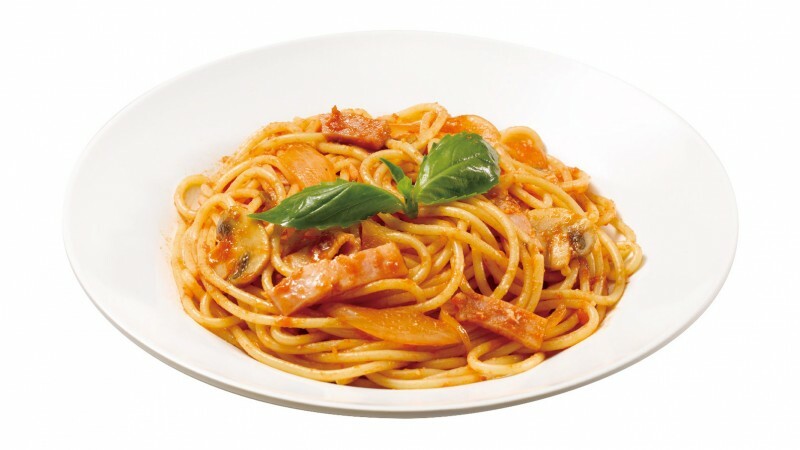 The chewy noodles are made from durum semolina flour from Southern Italy. The tomatoes are grown under abundant Mediterranean sunlight are instrumental in the flavor. 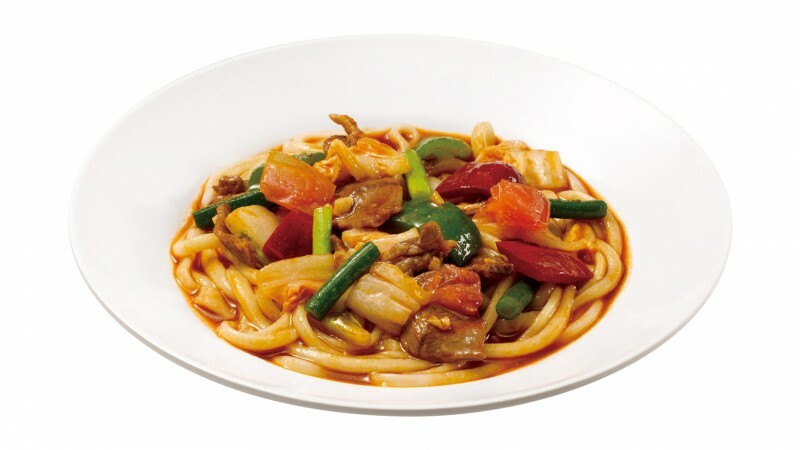 Lagman is a traditional meal from Central Asia, the Western end of Asia. Noodles from areas along the Silk Road characteristically contain mutton. Oyster sauce is a hidden flavor. 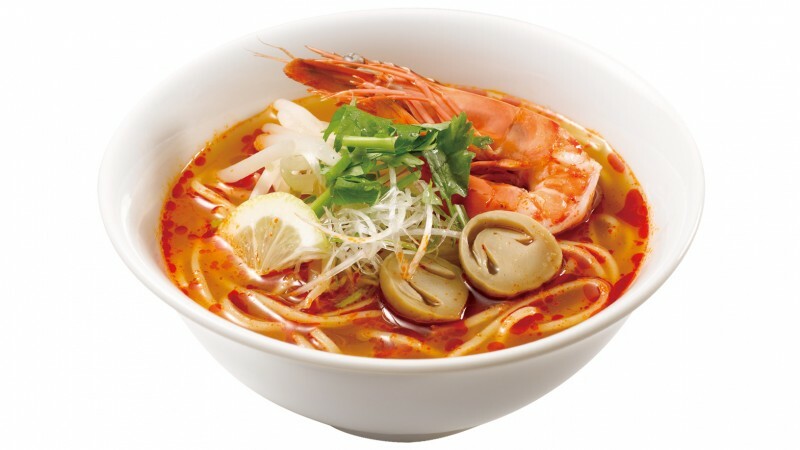 This is a popular noodle item in Lanzhou, a city in the Yellow River basin. 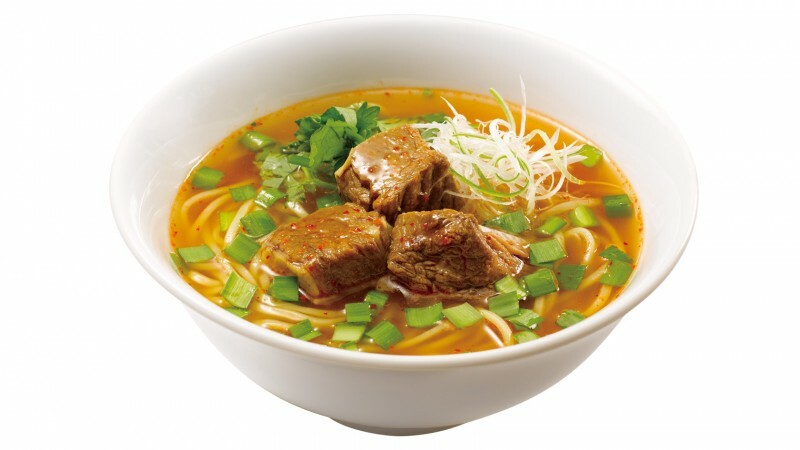 Chewy noodles and cubed beef are in a soup that contains Sichuan pepper, red peppers, five-spice powder and many other spicy ingredients. 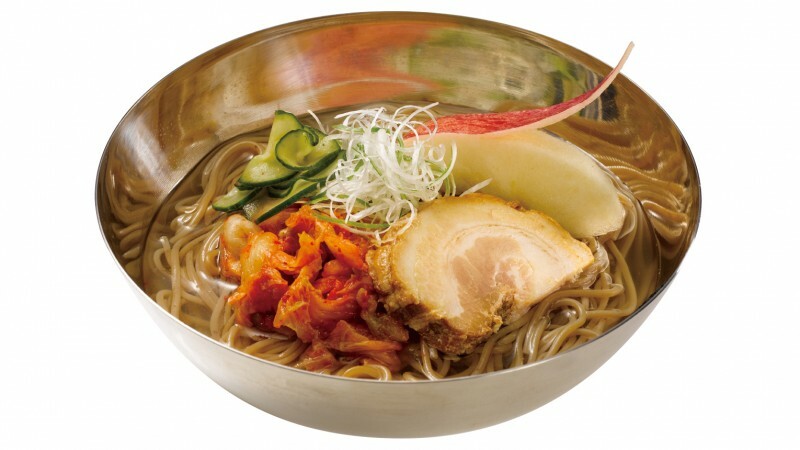 Noodles from the Korean Peninsula are the origin of Japanese cold noodles. In delicate beef bone soup, acorn powder noodles are topped with roast pork, vegetables and kimchi. The noodles do not contain buckwheat flour. 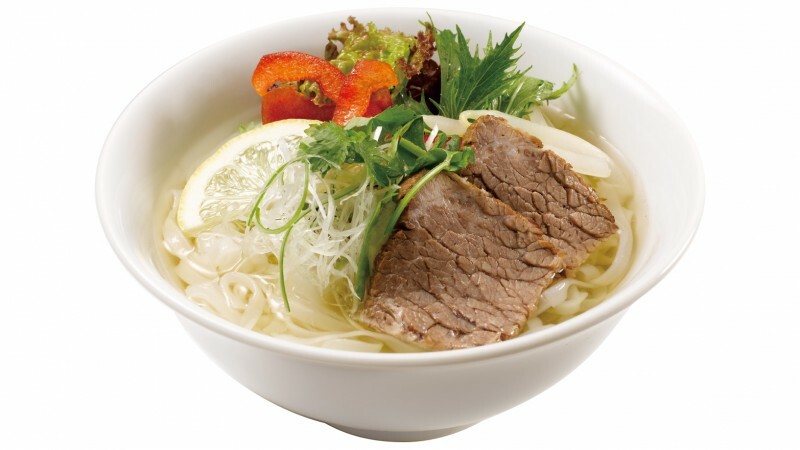 A classic breakfast item in Vietnam, pho contains beef and many vegetables. Nuoc mam, the seasoning made from fish, and the coriander smell very good. It has the flavor of nam pla, a condiment made from fermented fish and lemon grass, kaffir lime leaves. All of these mix well together and create a perfect international taste. The punchy flavor is unique to a hot-weather country. Mie Goreng is seasoned with sweet ketchup manis. 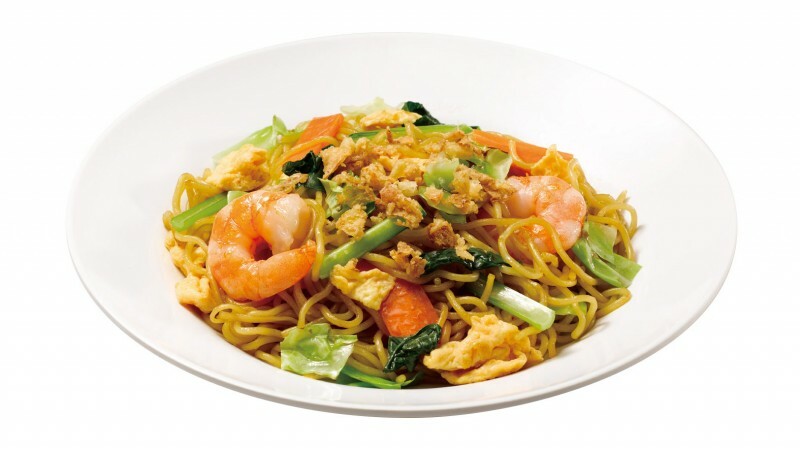 “Mie” means noodles and “Goreng” means fried. Original chicken bone soup with roasted soy sauce flavor. 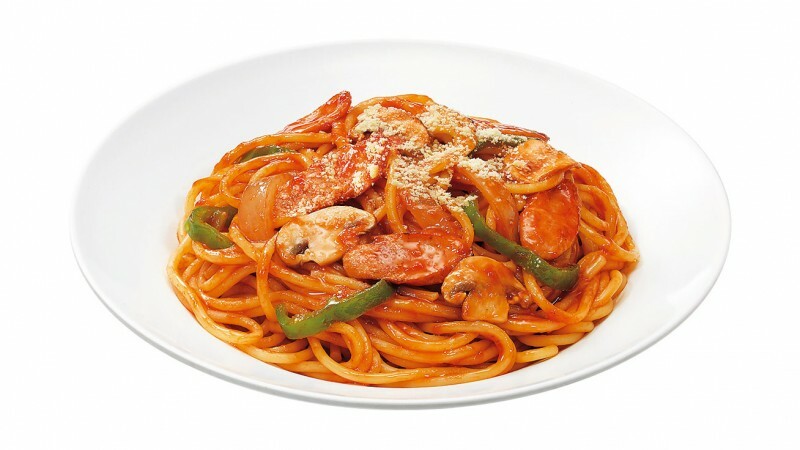 Staying true to the original taste, the Napolitan noodles are seasoned with Shimizuya Ketchup, which originated in Yokohama in 1896.